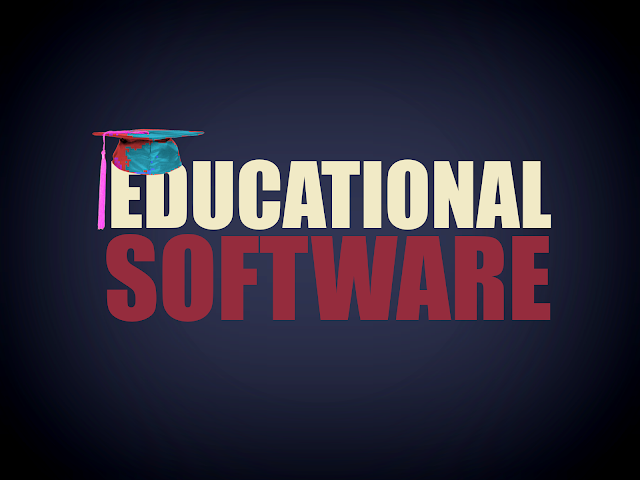 Looking for software for educational institutions? We have short listed some of the highly recommended tools and software for educational use. Use of educational software for schools is not new. Universities and colleges have heavily used software for long time, however in recent decade even k12 education schools are also utilizing it effectively. The usage is not limited to school management software only, schools are utilizing all types of software including enrollment management system, event management system & file sharing systems and more. Teachers and students like to use software tools as much as they can. A School administration and management software can help everyone in many different ways, however it can not solve all problems. Use of software in schools is essential since it can save schools time, money and resources. Many complex communications can be managed easily with use of educational software tools. Below is a list of tools, resources and useful software for educational institutions. File sharing is essential for teacher - student communication. Many university professors and k12 teachers prefer to share the lecture slides and notes with their student. Therefore use of a file sharing tool is unavoidable. HTTP Commander has many unique features and is a must have for schools, colleges and other educational institutions. The participants can save and open more than 300 file formats from any web browser. This web based file manager is a developed using a ASP.net technology and is best fitted for educational institutions that use windows based servers. It supports Windows authentication for existing Active Directory users and NTFS permissions to existing shares. This tool is easy to install and seamlessly works on any operating system with a browser. Google Drive can be defined as a free personal cloud storage where you can store and share your documents within your group. You can also synchronize the digital content across the mobiles, laptops and computers which are really helpful at educational institutions. The best product for reliable and fast cross platform FTP, it is very easy to use and runs easily on different OS such as Linux or Windows. You can also use it for transferring large files of school and college projects. open source education software is supported by a large community that continuously enhances the platform behind this academic software. Also there are many educational software companies that provide professional help for setting up and maintaining it. This tool provides easy way to provide online courses, training and exams. The user management features are designed with clear role of a teacher, admin or student. Liferay is a open source portal solution developed using Java technology. This is leading portal solution that has been heavily utilized by schools and universities for creating portal for students, teachers and parents. The portal enabled educational institutions to manage and communicate the school thru easy to manage websites with security and user management. Creation of multiple websites is really easy with this portal. This open source portal for schools also provides a marketplace with many useful plugins that can be installed with a click. Many freelance Java developers are available on freelancing websites to enhance the functionality of this portal for a really low price. Khan Academy is a free to use online education website that focuses on fundamental education worldwide. This is a platform created by Sal Khan for educating anyone online. This website provides thousands of tutorials and practice exercise that helps students try and learn. Many k12 schools are already encouraging the use of this website by their students for working on fundamentals of Mathematics, Physics and many other subjects. Blackboard provides a unique online tool with which you can teach and offer learners interactive learning experience. The innovative technology of this product has made higher education a pleasure in learning and also helps bring education to the masses. This is one of the best free websites where teachers can effortlessly create online testing papers or quiz for classes, or create contests online for students; it saves lots of time for teachers and streamlines learning. Adobe, one of the premier companies, has brought out this product which can be used for giving online training for educational staff. Distance does not matter when you use this tool for learning, teaching and collaborating with other educators online. With Canvas, an online tool, you can make the learning and teaching process very easier by making it simpler. This tool provides hundreds of features which work together to make the process very simple for teachers and makes the learning fun as well. If you are working on a school or college project, you can open an account at Basecamp and give different responsibilities to different people while communicating and working together at a set pace. You can also leave notes, upload files and exchange ideas together. You may also want to checkout other project management software options and task management softwares. Proofhub can be defined as the all in one project management software which can be used by teachers and students alike for making plans and developing strategies together. You can also organize work by keeping all information at one location and deliver the project on time. Trello Board has the capability of including all types of lists which is also filled up with cards and can be used by teachers and students to make the time table of studies, test schedule and share files related to academic work. This product has a simple and intuitive surface which combines easy editing with various online applications such as sharing files, cloud storage and helps users to embed relevant maps in the websites. It is very useful for students and teachers. There are many more available, choose from best mind map software. This is a real time collaboration server which is based on open source platform and can be used for instant messaging between the students and teachers during any event, whether it's education related or a cultural program. For persons who write every day, Evernote is the best online tool which helps them to gather the completed research at one place, work together when making projects or find everything which is needed for research swiftly. We have exclusive Evernote Tips about being productive. Also checkout best note taking tools. Open Office is one of the best open source free office software suites which provides every type of software which is required for office work in educational institutions such as spreadsheets, word processors and graphic presentations. Saleforce.com is heavily used by schools and universities since its low cost and provides many options. The marketplace for salesforce.com has many vendors that provide low cost, high quality addons to salesforce users. With this platform, you can turn your mobile device into your office where teachers and administrators of the school can write and edit their time table and schedule as per required. In addition to that, they can access any website for getting the latest information. Salesforece is a cloud based solution, and you get all the advantages of using cloud based solutions. This is a cloud application platform which is a new method of building and deploying web pages in school and colleges during educational training. A free website where students, teachers and office staff can create new surveys or opinion polls about any topic for discussion of subjects before taking the final decision. When you are working on a project and constantly revising files, yet want to retain full revision history for files, directories and other items you need to use this open source community for your project at the schools and colleges. An open and free source system, this software has been designed specially to handle all types of school and college projects with efficiency and speed. It is very easy to learn and can accommodate multiple workflows at the same time. One of the largest code hosts which also provides many powerful tools online for any type of school and college projects, whether they are small or vast, Github has many features such as pull request to update the status of projects. This website has developed an open source server which has the capability to provide services to educational institutions at a stable and secure environment. It offers services for both Windows and open source UNIX operating system. This is open source software which helps the schools and colleges to implement JavaServer and JavaServlet technologies for their educational projects. MySql is used by the world’s leading companies such as Adobe and Google to saving time and money by powering packaged software, high-volume websites and others. It is also very useful for powering school websites and internet activity. Wordpress is one of the most popular websites which we use for the creation of free blogs and websites all over the world. The school and colleges use it for updating or coordinating events and projects between students. Educational institutions can also use easily available Wordpress professional help for building the websites and blog. Extremely powerful software, mediawiki is used for running a website which gets millions of hits every day. The mediawiki software is capable of saving new version of any document without deleting the old one, which is very handy for educational institutions. With this software, the teachers and office staff of schools and colleges can secure their information as well share confidential files such as test papers with each other on the internet without any threat of leaks. There are more open source VPN servers available, however Open VPN is leader in open source options. This website provides an open source directory access protocol with standalone server for tight security for the benefit of school and college community. It also provides the space for library, other utilities, sample clients and tools which are very useful. This tool is a free open source security software which has the tightest firewall and router which is completely managed by web interface. It is very useful for school and college websites and has lot of features. This tool can be defined as a toolkit which is used for access control, logging and application monitoring. Modsecurity is a open source software which helps educational institutions to monitor the use and misuse of apps in computers. This is a free software product which helps the school to manage their volunteer’s associations and deals with their records and history. Some examples include the memberships, donations and events. This is a free and open source software tool which helps the schools to organize events and sell tickets to the public. This product also helps schools and colleges to simplify the logistic arrangement of events. This software product is very user-friendly and helps to publicize school events without much expense anywhere in the world. The free Volunteer Management Open Source Software helps organizations such as schools and colleges to manage volunteer programs in registration and reporting functionality, among others. This software provides one of the best e-learning solutions for the collection of student database which also maintains the performance records of students in a secure place. This is one of the best and free student information systems which has been specially developed for the educational institutions to improve school and college administration. A must have system for schools and colleges, this system monitors the school and college network which have various types of devices and different services. Healthmonitor is an open source and free power tool which has lot of features to check the status of computer systems such as disk free space and event viewer. It helps the educational system to keep their computers healthy. iRedMail is one of the best open source mail solution systems which provide ideal and free mail solution for students, teachers and staff. This email solution has one of the tightest securities and is very secure for confidential information. When it is time to upload the completed assignments, pictures or music for projects, this product is very useful for school and college students and teachers. They can also access their uploaded material while doing homework. With the help of Virtualbox, teachers and students are able to virtualize different hardware, or access a virtual desktop and server mirroring the actual desktop or server located in a school, from the comfort of their home. The company continues to research and develop new versions of the product. An open source software, this is highly useful for students, teachers and office staff who can compress a large file or lot of files with mixed formats to share with other people. A versatile graphic package which is able to retouch photos, adjust images and modify them for different school and college projects. This graphic package is very popular with most of the teachers, students and office staff all over the country. I hope this list of educational software is useful for schools, universities and other educational institutions. Which software does your school use?